Greenhouse Mist System complete with a Misting Timer that times is seconds. Easy to Install, simply attaches to any faucet. Subscribe to our Newsletter to receive future product updates, news and discounts. 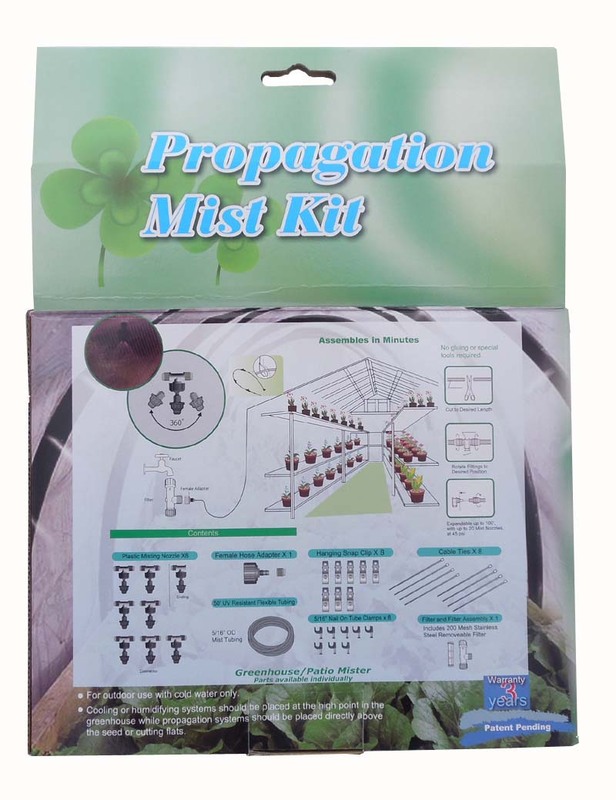 Propagation Mist Kit plays a major role in the production of both seed and vegetative plant material. The Propagation Mist Kit will fill your greenhouse with a fine spray of water which gradually moistens the soil without disturbing it. Seeds and seedlings do well with a fine mist, while leafy cuttings mostly prefer to be propagated in this way and will generally form roots much faster. The fine mist that is produced from the mist nozzles is adjustable to 360° so you put the mist where you need it, unlike many other "patio mist kits' on the market. The Propagation Mist Kit includes all the parts you need to mist seeds/seedlings/fodder in a small greenhouse type setting. Kit also contains the #549 Mist timer which allows you to time in seconds. 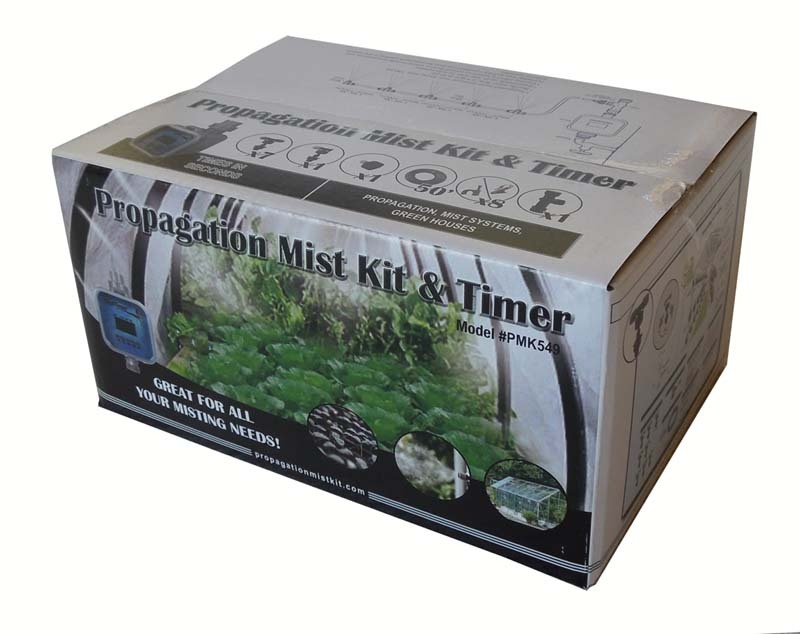 The Propagation Mist Kit is a do-it-yourself kit that offers a low cost solution for your propagation, misting needs. The system features high quality parts like a 200 mesh stainless steel filter to help prevent nozzle clogging. The filter housing easily comes apart to clean the screen. 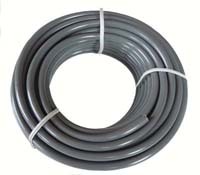 The UV treated tubing, 50' and leak proof compression misting nozzles that will last for years to come. Our unique nozzles will swivel 360° and adjustable to put the spray where you want it to be. The system is easy to assemble with scissors or a knife, no gluing required. The system can attach with either snap clips, cable ties or nail on clamps, all included. The Propagation Mist Kit is expandable up to 100' with 20 mist nozzles. The mist nozzles use approximately 3/4 gph at 45 psi, higher pressure will of course increase the flow rate. Copyright Drips Inc. All Rights Reserved.